The Palestine Liberation Organization office in Washington can remain open to discuss peace with Israel and may be able to resume full operations soon, the State Department said Friday. The comment came one week after US officials said the diplomatic mission would have to close because of a law stipulating that Palestinian leaders must not call for Israelis to face international prosecution. The order provoked outrage among the Palestinian leadership, who threatened to cut all ties to President Donald Trump's administration if the ban went ahead, a move that would doom his hopes to revive the peace process. But on Friday a senior State Department official, speaking on condition of anonymity, said the Palestinians had been advised to limit their activity at the office to the peace process until a waiver to the law is renewed. "Given the lapse last week of a waiver of statutory restrictions on PLO activity in the United States, we have advised the PLO Office to limit its activities to those related to achieving a lasting, comprehensive peace between the Israelis and Palestinians," the official said. If after 90 days the president determines that the Palestinians are engaged in "direct and meaningful negotiations with Israel," restrictions on the PLO and its Washington office may be lifted, the official added. Both parties have so far been "cooperative, constructive, and prepared to engage in negotiations" as the administration pushes efforts to restart substantial Israeli-Palestinian negotiations, the official said. "We therefore are optimistic that at the end of this 90-day period, the political process may be sufficiently advanced that the president will be in a position to allow the PLO office to resume full operations." 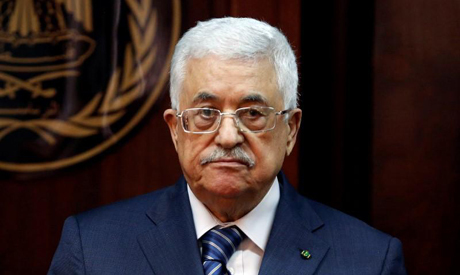 Under long-standing US law, permission for the Palestine Liberation Organization (PLO) to maintain its mission in Washington must be renewed every six months. In September, Palestinian leaders lobbied at the United Nations for Israeli officials to be prosecuted at the International Criminal Court, which US officials said was a breach of the terms of the arrangement. Some observer speculated that Trump's administration had allowed the waiver to lapse in order to put pressure on the Palestinians before the expected announcement of a new plan to resolve the longstanding Israeli-Palestinian conflict. But the official denied this. "The lapse in the waiver was not intended to create 'leverage' with or impose pressure on the Palestinians, with whom we have been having constructive discussions about the path to a lasting, comprehensive peace," she said.